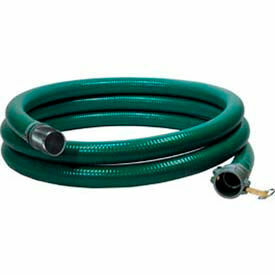 Discharge hoses help draw water away from flooded areas and into desired location. 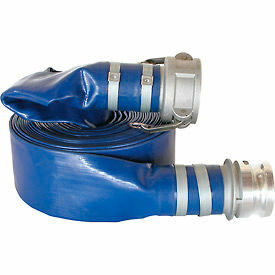 Discharge hose ends easily attach to water pumps with corresponding size output. 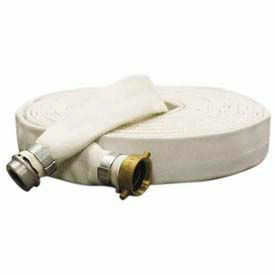 Hose measures 50L and offers a temperature range of up to 150°F. Apache™ Lay Flat Discharge Bulk Hoses Are Used For Agricultural, Mining, Garden And Construction Applications. 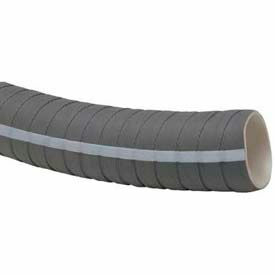 Lay Flat Discharge Bulk Hoses are built using PVC tubes reinforced with 3-ply polyester yarns for long lasting durability. Yarns are made of one longitudinal and two spiral piles extruded simultaneously for maximum bonding and resistance to oils, grease, many chemicals and acids. All materials are strong, lightweight and non-water absorbing, providing a mildew-proof hose that rolls up flat for easy storage. Band-It™ clamps assure tight fittings. Packaged in 25', 50', 75 and 100' lengths with couplings or custom cut in 5' lengths without couplings. Couplings and fittings are available in aluminum or polypropylene for fast-paced and heavy-duty use. 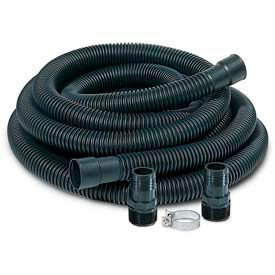 Available in diameters 1½"-8"
Little Giant® Sump Pump Discharge Kits Help Discharge Water Out Of The Basement Sump. 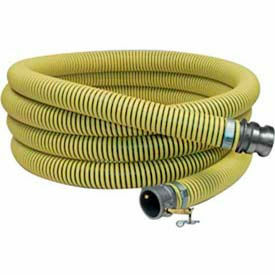 Water & Trash Pump Hose Kits Are Used For Pumping Excavations And Slurries. 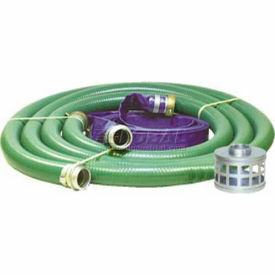 Water & Trash Pump Hose Kits are built with flexible and abrasion resistant PVC helix for long lasting durability. Smooth bore design eliminates build up and allows for maximum flow. Durable aluminum male x female short shank couplings form a quick and reliable seal. Plated steel square hole strainer protects pump from larger debris while allowing smaller solids to pass through. 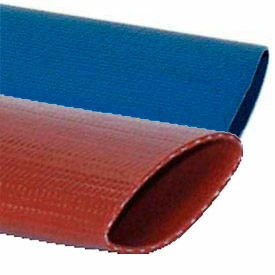 PVC discharge hose tube/cover reinforced with 3-ply polyester yarns extruded simultaneously to obtain maximum bonding. Available in diameters 1½"-4". Apache™ Water Suction Hoses Are Used For Industrial and Commercial Applications. 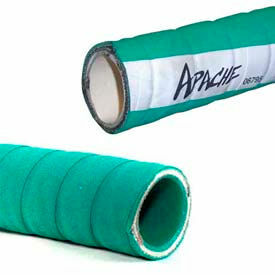 Apache™ Reinforced PVC Suction Hoses Are Used For Construction, Rental, Marine, Agricultural and Irrigation Industries. Internally Reinforced PVC Suction Hoses are built with abrasion resistant PVC helix exteriors for flexibility and long lasting durability. Smooth bore design eliminates build up and allows for maximum flow in suction and discharge of water, light chemicals and sludge. Clear hose allows visual confirmation that material is flowing. 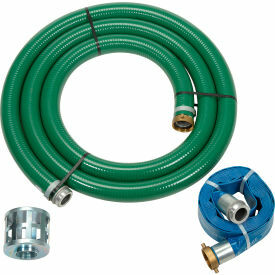 Available in diameters 3"-6"
Apache™ Transfer Pump Hose Kits Are Used For Commercial And Industrial Applications. Transfer Pump Hose Kits are built with flexible and abrasion resistant PVC helix for long lasting durability. 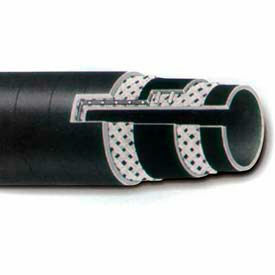 Smooth bore design eliminates build up and allows for maximum flow. 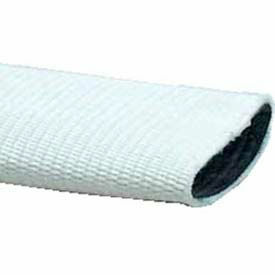 PVC discharge hose tube/cover reinforced with 3 ply polyester yarns extruded simultaneously to obtain maximum bonding. Rugged steel or polypropylene strainers assure clean flow and prevent large debris from damaging pump. Aluminum and polypropylene couplings and fittings provide ease of use. Available in diameters 1"-4"
Apache™ Mill Wash Down / Discharge Bulk Hoses Are Used For Contractors And General Purpose Use. Mill Wash Down / Discharge Bulk Hoses feature a weather resistant extruded synthetic rubber lining wrapped in a 100% polyester single jacket cover for long lasting durability that won't mildew or decay. Lightweight and easy to handle for quick clean up and wash down in factories and mill yards. 250 PSI. 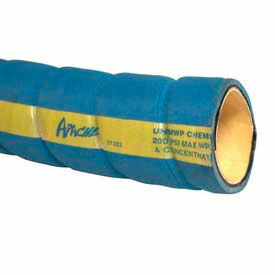 Available in diameters 1½"-6"
Apache™ Mill Wash Down / Discharge Hoses Are Used For Contractors And General Purpose Use. Mill Wash Down / Discharge Hoses feature a weather resistant extruded synthetic rubber lining wrapped in a 100% polyester single jacket cover for long lasting durability that won't mildew or decay. Lightweight and easy to handle for quick clean up and wash down in factories and mill yards. Band-It™ clamps assure tight fittings. Aluminum couplings and fittings are lightweight and strong for fast-paced and heavy-duty use. Available in lengths 2', 50' and diameters 1½"-6"
Apache™ Fertilizer Solution Suction / Discharge Hoses Are Used For Agricultural, Mining And Construction Uses. 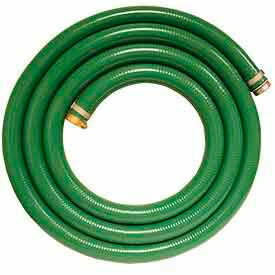 Fertilizer Solution Suction / Discharge Hoses are built with EPDM rubber wrapped in a polyethylene helix for long lasting durability. Lightweight design provides versatility in setup and operation. Aluminum couplings and fittings are strong for heavy-duty use. Available in diameters 1"-6"
Food Suction And Discharge Hoses Are Used For Food Processing And Service Industry Applications. Food Suction And Discharge Hoses are made of heavy duty, abrasion resistant NBR tubing with NBR/PVC covering for long lasting durability and dependability. Can be used for suction or discharge applications on a wide variety of liquid food products, including fats and oily edibles. Will not impart taste or odor-food products being transferred. FDA approved. Available in wide selection of 1-1/2 to 4 inch diameters 10 to 100 feet in length. UHMW Chemical Hoses Are Used For HAZMAT And Other Chemical Transportation Applications. Tar & Asphalt Hoses Are Used For Paving And High Temperature Petroleum Applications. 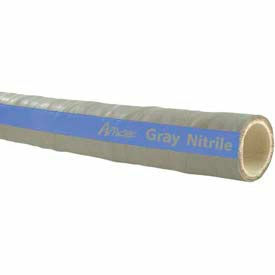 Gray Nitrile Hoses Are Used For Food Processing And Service Industry Applications.